Salesforce has debuted fresh Google integrations along with machine learning-powered capabilities across its Marketing, Service and Commerce Clouds as part of efforts to improve the way brands build connected customer experiences through its platforms. The biggest announcement arguably at Connections conference this week are new integrations between the software vendor’s Marketing Cloud offering and Google Analytics 360. These include the ability to pool Marketing Cloud and Google-based insights into one dashboard. The pair are also now pushing campaign data into Analytics 360, allowing users to tap into these insights in order to tailor Web content appropriately by seeing how granular content is performing. 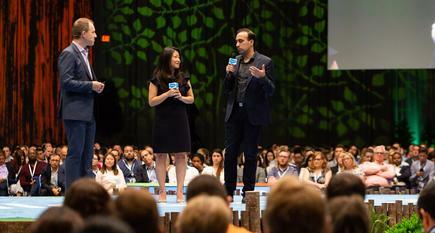 The capabilities come off the back of an global alliance unveiled by Salesforce and Google at the former’s Dreamforce conference last November to bring Marketing Cloud together with GSuite and Google Analytics 360. At the time, the vendors outlined four key areas of focus: Expanding GSuite and Salesforce partnership for deeper product set integrations; seamlessly connecting Marketing Cloud with Analytics 360; the decision to use Google Cloud as a preferred public cloud provider for core services; and Google standardising on the Salesforce CRM platform. In Q3, the vendors plan to allow marketers to directly create audiences in Analytics 360, such as abandoned buyers or loyalty members, then activate those via the Marketing Cloud for further tactical activity, such as re-engagement. The alliance between Salesforce and Google was certainly greeted with interest by the many customers speaking to CMO at the time using both technologies. And two Australian companies – Open Colleges and Auto & General – were on-hand to welcome the latest integrations. Open Colleges head of lifecycle marketing, Lawrence Daffurn, said insights from Google Analytics 360 said the combination of the two platforms helps drives smarter customer engagement. Auto & General director of marketing and digital, Jonathan Kerr, said separately, Google and Salesforce have been important to helping the insurance giant deliver meaningful customer experiences through marketing. However, Raab & Associates principal, David Raab, tempered the news with the comment that integration between Salesforce and Google hasn’t yet gone deep enough. At the same time, trust and data privacy have been raised in the context of the new integration. 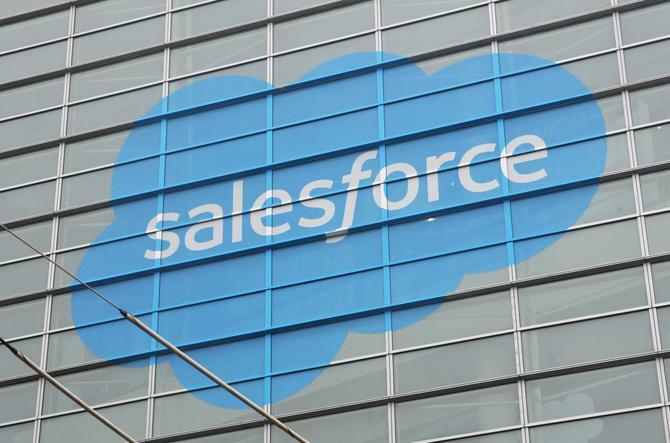 In an interview with TechCrunch, Salesforce VP of product marketing, Bobby Jania, stressed the two vendors are not sharing personally identifiable information about consumers, but rather metadata or aggregated reporting results. Salesforce VP of product marketing, Stephanie Buscemi, said the intention is to give marketing managers in real-time a whole new level of consumer insight. She also flagged the productivity gains being realised as a result of the integration. Joining Salesforce at Connections to talk about the integration in practice was events tickets seller, Ticketmaster. The company sells half a billion tickets in 29 countries per year, with an average of 15 tickets moved every second. And it's been using the two vendors' technologies to personalise email and Web content for customers, glean insights on performance, then tap Google insights and audience segments to re-engage specific audience groups, such as those who abandoned cart purchases. Ticketmaster EVP of growth and insights, Kathryn Frederick, said with live events being such an emotional experience, it’s vital to take a fan-centric view of engagement as a brand. And the only way to deliver that kind of experience at scale is through data and technology, she said. Google director of product management, Babak Pahlaven, described the partnerships as serving two purposes: Insight sand efficiency. Some of the targeting and re-engagement work done by brands like Ticketmaster today weren’t possible, while others were highly manual and clunky, Pahlaven said. Among other product highlights announced at Connections this week is integration between its core platform capabilities and the data management platform (DMP), which it acquired via its purchase of Krux in late 2016. Most notable is the utilisation of Einstein, the vendor’s artificial intelligence (AI) platform, for new Einstein Segmentation in the DMP. This sees machine learning and pattern analysis analysing consumer signals identified via the DMP to build new audience sets for media campaign targeting. Another new feature, Einstein Splits, then provides automated and decision splits for predictive personalised journey activity based on a customer’s likelihood of engagement. Data analysed breaks audiences into predictions like a customer’s likelihood to open or click through a message or unsubscribe, their level of engagement with the brand and digital channels, and Web conversion likelihood, while personas are reflective of their status and place on the customer lifecycle. These split decisions are pushed through to Marketing Cloud Journey Builder so users can test different journey paths and executions. On the commerce front, Salesforce took the wrappers off B2B Commerce, fresh functionality within the Commerce Cloud aimed at B2B companies looking to take a more B2C approach to marketing and engagement. New functionality includes the ability to manage multiple commerce models such as subscriptions, multi-storefront, multi-distributors and marketplaces in one platform, custom catalogues, authenticated logins, one-click reordering on larger purchases, multiple shipping locations and payment types and ordering across hundreds of thousands of SKUs. In a blog post, Salesforce used the example of a large sporting goods manufacturer selling shoes directly to consumers, as well as third-party retailers and distributors, as a prime candidate for the new commerce offering. Also aimed at improving cross-channel engagement is Marketing Cloud Interaction Studio, which includes tools to visualise, analyse and deliver more contextually relevant experiences across online and offline channels with real-time interaction management. Salesforce has also expanded LiveMessage support in Service Cloud to multiple regions including Asia-Pacific. Finally, Salesforce has made further pilot integrations between Service and Commerce Clouds to allow service agents to see real-time commerce data within the one console, as well as between Commerce and Marketing Clouds in the form of commerce journeys. The latter functionality allows users to trigger transactional and behavioural-based journey tactics based on commerce actions such as abandoning a shopping cart or confirming an account. Nadia Cameron travelled to Salesforce Connections in Chicago as a guest of Salesforce.